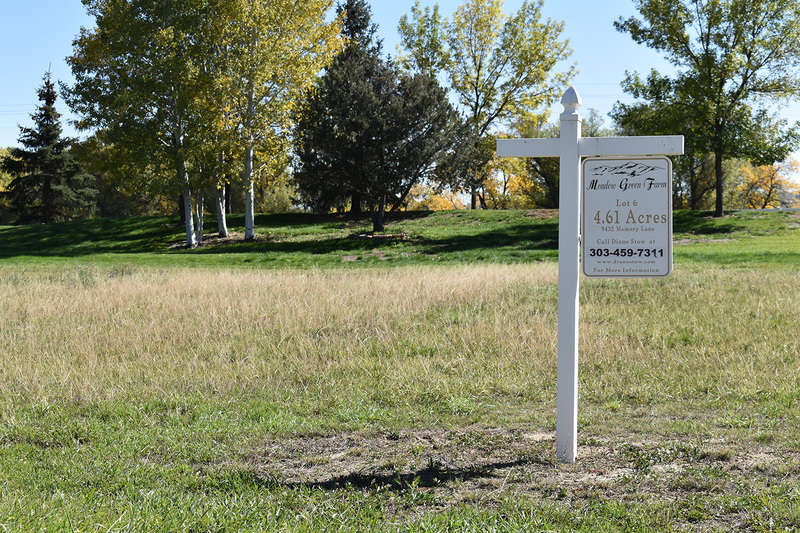 Meadow Green Farm was divided into lots varying in size from 4-10 acres with only 1 lot left! Below is a map so you can get an idea of the current lot available. (note: map not to exact scale). 1 lot available on Memory Lane. 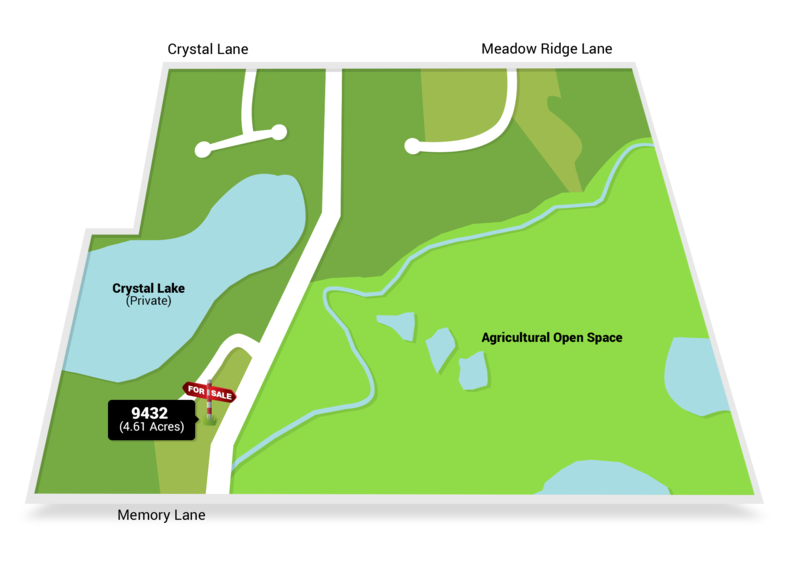 Crystal Lake, a private 40-acre lake, is the centerpiece for this luxury gated community located in Boulder, County. It’s hard to beat the view of Long’s Peak & Mount Meeker which can be viewed from all available lots. NOTE: Map does not depict actual, legal boundaries. Refer to appropriate legal documents and/or surveys for detailed information.